Before you plan to buy kitchen countertops, you come across several of questions that you see on the internet and the ones you ask yourself before finalizing the stone of your choice. 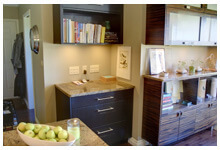 As we all know, granite rules the market when it comes to the kitchen countertops and they are the most popular choice. They go perfect with the rest of the theme on the house and offer you the best of trendy and modern designs. They are really durable and long lasting and once you get them installed, you don’t have to worry for years to come. Here in this article, we are going to answer some of the questions that are there in the mind of the first time granite buyers. 1. Where to get the Granite Stone? There are many choices and places when you are looking out for a granite stone of your choice. Most of the manufacturers get the granite from deep in the earth’s surface. Granite takes thousands of years to form and what you get is a stone that has designs which are spectacular. Always make sure that you are looking at several options before you finalize the colour and design of your choice. 2. What are my colour options? Granite is available in several colour options and you can get the one that matches up perfectly with the theme of the kitchen. Granite gets it colour from the area where it was extracted. For example, the granite that is sourced from the Egypt will be rich in red and black shades. China has white granite on offer and if you are getting granite that has been sourced from Africa, then you will have shades of blue. The best finish to go for the granite is the polished look. It gives your kitchen a very elegant and classy look and the finish also brings out the depths of the colour. You can also go for the honed finish, though it is less shiny but offers you several of the design patterns to choose from. You also have many options when it comes to the finish and sizes and you can even opt for a single slab. For more options, always ask the granite dealer about the finish and colour themes. 4. How to maintain it? Maintaining granite is a very easy process and you don’t have to spend too much on it. Make sure that you are getting the surface of the granite sealed by a professional after the installation. This protects it from the stains and spills. On the regular basis, you just have to use a soft cloth and water to clean the surface to make it look like new all the time. If you want to clean it using a soap solution, then you can use the washing liquid that you use in the kitchen, for the process. Avoid using harsh chemicals and call in the professional for the cleaning help if you have any doubts.